The smartphone comes with a 20MP Auto focus camera with triple LED natural flash and a 5MP wide-angle front camera. The 20 MP sensor automatically takes sharper images of fast-moving subjects and a triple LED natural flash helps create accurate lighting in darker environments. Rich Capture lets you quickly adjust the color saturation level of bright or dark areas and add or remove the flash afterwards. 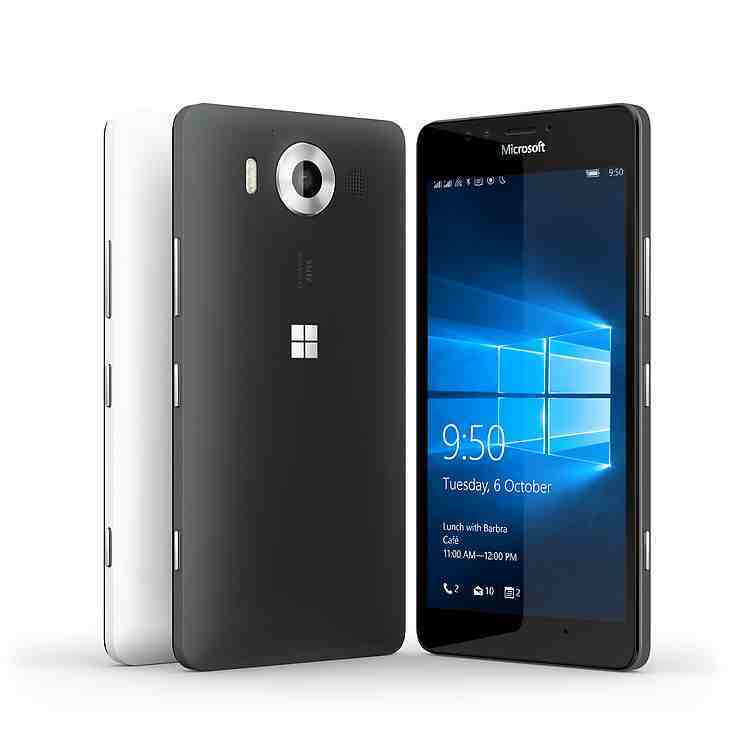 With advanced Optical Image Stabilization and virtually seamless auto focus, the Lumia 950 Dual SIM is always ready to take super-sharp and silky-smooth 4K videos. The handset is backed by a 3000mAh Replaceable battery. With USB-C fast charging the device can charge up to 50% capacity with just 30 minutes of charging.